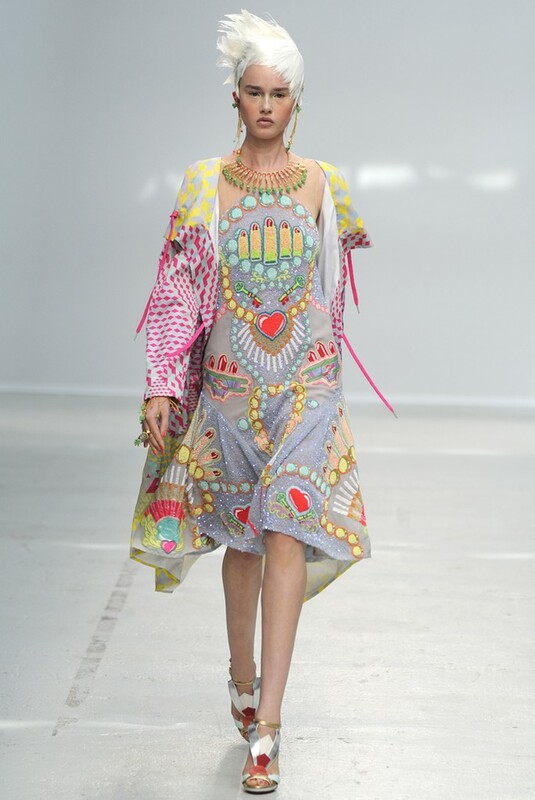 The Manish Arora Spring/Summer 2015 Show was influenced by the Mughal Empire. 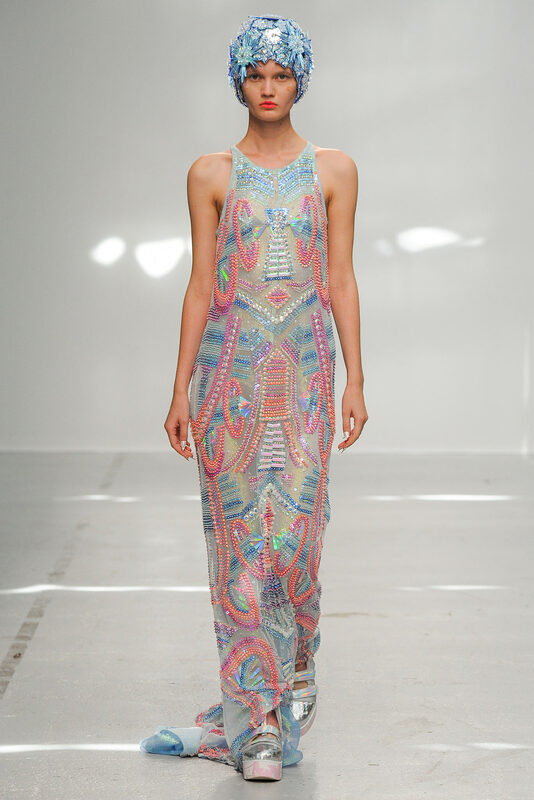 Jelly beans and other sweet delights have influenced motifs in the Manish Arora Autumn/Winter 2014-2015 Show. 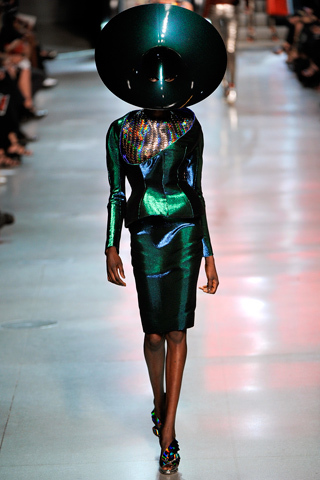 Another jelly beans-inspired collection : Douglas Hannant Spring/Summer 2011 (the color palette of this show was based on a bag of jelly beans dumped on a white tablecloth). 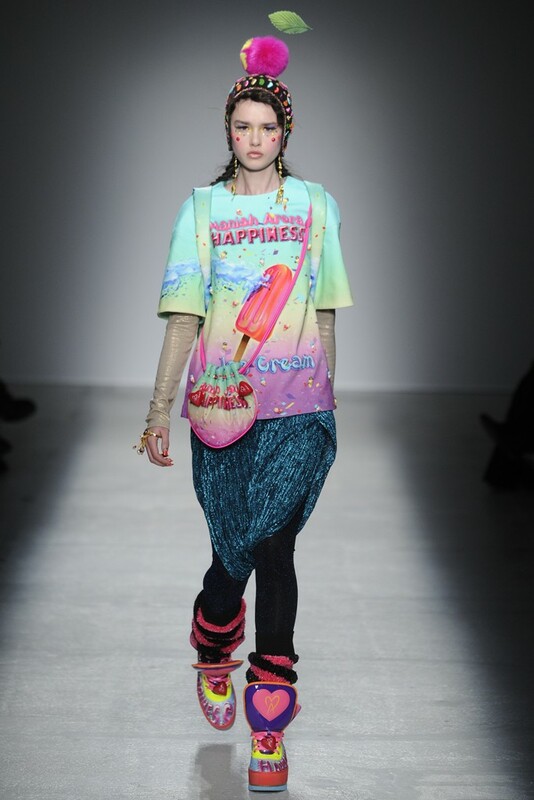 Popsicles have inspired patterns in the Manish Arora Autumn/Winter 2014-2015 Collection. Other popsicles-inspired collections and items : Franklin Marshall Spring/Summer 2009 (« popsicle » motifs on T-shirts), Jean-Rémy Daumas Spring/Summer 1985 (« Miko® popsicles » motifs on several pieces), Mulberry by Emma Hill Spring/Summer 2013 (popsicles have influenced the color palette of this collection). 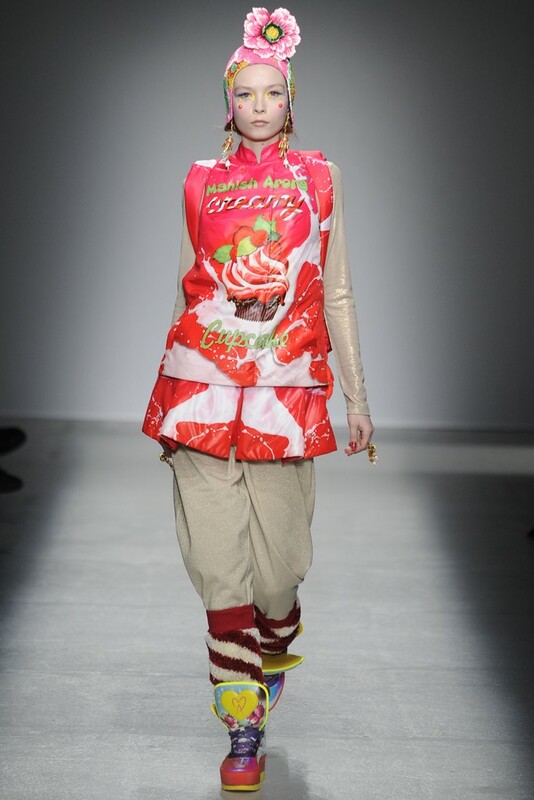 Creamy cupcakes have influenced the Manish Arora Autumn/Winter 2014-2015 Show. To read about other cupcakes-inspired collections or pieces, search for the « Cupcakes » post that I have published on October 30, 2012. Whipped cream inspired the James Pecis-styled wigs of the Manish Arora Spring/Summer 2014 Show, which paid homage to Josephine Baker. To read about Josephine Baker-influenced collections, search for the « Josephine Baker » post that I published on August 3, 2013. 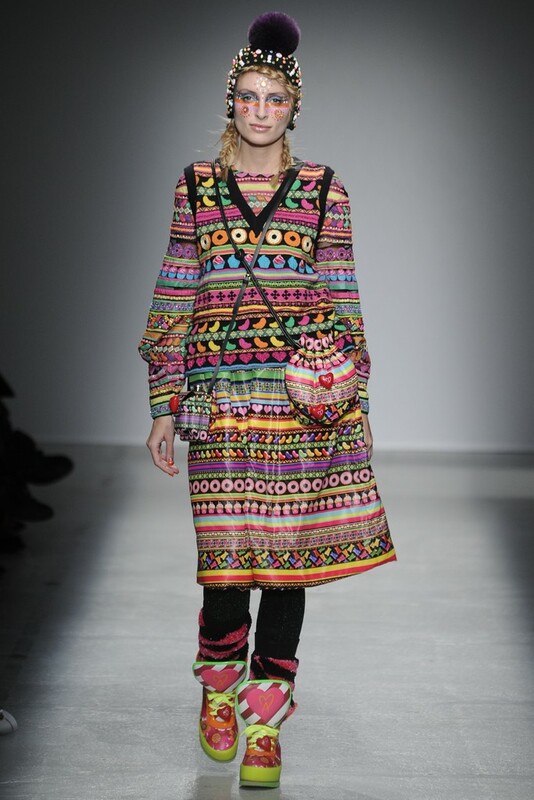 The Manish Arora Autumn/Winter 2013-2014 Show was based on a trip to the Burning Man Festival. Some Burning Man-inspired items : International Flavors and Fragrances (for Spring 2011, Clement Gavarry produced for IFF the « Burning Man » perfume, that was named after and inspired by the festival), Topshop (for Spring 2011, Topshop unveiled the « Sandstorm » makeup line that was influenced by Burning Man).